I would like to introduce three women to you. Mulu; her daughter Freha and her friend Julie. Although the story really begins with Mulu, I shall commence it here, with the friend of her daughter. Julie is a colleague of mine, at the Donnington Youth Club, hosted by the Donnington Doorstep Family Centre, in East Oxford. It was her brilliant idea, to have her birthday celebration, at the monthly Ethiopian evening, held at the Magic Cafe; a well-known eatery, in the East Oxford area. And that is where Mulu and Freha Menaye come in…. Have you ever tasted Shiro wet? A dish to make your insides feel good, and bring a glow to your face. Consisting of chickpeas, red onion, berberi and garlic. Made by Freha – taught to her by Mulu. Freha has named the monthly celebrations of her homeland after her mother; who continues to be her greatest inspiration, after her physical passing, when Freha was sixteen. Mulu remains; is everywhere for her. As in the labelling. 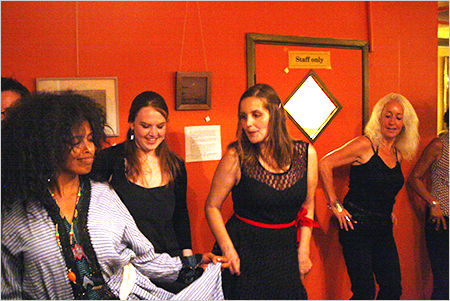 Mulu Oxford, the website; alongside Mulu Coffee and Mulu Dance – both of which can be sampled at the monthly sessions. Talking of dance - we were treated to two short exhibitions, of traditional dance. Followed by a workshop, of joyful interaction. As well as her culinary skills, there are those of movement to music. She’s been dancing since the age of fourteen. Firstly with Circus Ethiopia, alongside juggling and bouncing. Then later on, a part of the Queens of Africa dance group, which toured throughout Ethiopia. 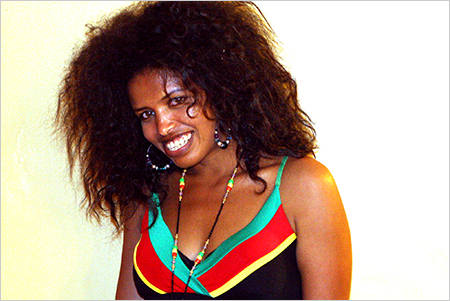 She has learnt various dance styles, such as that of the Tigrinya (Northern Ethiopia), and the Oromo, the largest ethnic group in the country. Like a treasure chest of cultural gems. She has been in England for two years. The Magic Cafe sessions, which she runs with her English partner, David Thomas, have been running for the last ten months. Trying to balance things up. Changing the somewhat, warped image of Ethiopia. Wine named Axumite; after Axum, the first great state of Ethiopia; that traded across the Indian Ocean. Another entitled Gonder; commemorating the city of castles, built by Emperor Fasilades. A night of education and joy, for those who step through the door. Here is what Tony Ruge, from Portugal had to say of the dance…” Absolutely amazing. Different to what I’m used to”. He said that previously, due to not being aware of it, Ethiopian cuisine wasn’t number one on his list. Having tried it and enjoyed it, he’s ready to tell others, of his culinary discovery! I support the Mulu mission. As Freha and David search for other openings. Like the Farmers Market, formerly held in the Asian Cultural Centre; now hosted by East Oxford Primary School, where my son is a pupil. Where they can introduce Ethiopian cultures, in an accessible and affordable manner. As I said earlier, a brilliant idea by my American colleague, Julie Bolitho-Lee; whose love affair with Ethiopia is deepening. Her favourite Mula dish is Alcha – yellow lentils, red onion and garlic. She spoke of Beta Israel, otherwise known as the Falashas – the Jews of Ethiopia; flown out, in the Solomon Airlift. She talked of visiting the stone churches of Lalibela; monolithic wonders of the world. In celebrating her birthday, she facilitated knowledge of Africa. To friends and colleagues, such as Kulbir, from Indian roots; Marie, Natalie; Sandra from Portugal; and Kwok, of Chinese parentage – her husband, who was the photographer of the festivity. By gathering to celebrate Ethiopian cultures, we paid homage to a special woman; an inspirational spirit, called Mula Menaye. Since the so-called Arab-Spring revolution which took place in Tunisia and Egypt had greatly changed our view about the power of the underestimated civil society, we, the Lissan team, couldn’t escape the influence of this special political and social new era in north Africa and the Middle East. Though Lissan is usually entitled to topics that do not arouse temporary emotional reactions, we found the recent land-sliding events too tempting to ignore. We are sure, just like us, most of the leaders who are now facing the anger of their people were once part of the vast civil society. Something must have gone terribly wrong; something that snatched these leaders off the reality to which they once belonged. If one was once like the millions, one should be aware of the uniqueness and the importance of one’s position when one becomes the leader of all those millions. Let’s put that down in a simple example suitable for us non-politicians; If a certain country has a population of 80.000.000 and if you happen to be the lucky one to have once-in-a-life opportunity to lead them…. Isn’t it like winning a lottery with a ratio of 1 to 80.000.000? Wouldn’t genuinely serving all these millions be the greatest award one could get for being that lucky? Without any hesitation, our answer to the above question is a very big “yes!“. But there is something absurd and confusing about being in power that we as standard civil population wouldn’t and couldn’t understand. It might be an infectious disease that leaders get stricken with as soon as they drive passing through a palace gate and start living in the huge compound surrounded by heavily ornamented furniture. The longer they get accustomed to those things the more they become detached from the millions whom they were entitled to lead and serve. As amateurs in political issues, we can only tend to the conclusion that palaces are indeed woven with infectious deceases and should be avoided by all those who are not strong enough to ignore diverting luxuries and personal benefits….. or would be leaders with the deficiency of self discipline shouldn’t be allowed to drive through gates of infectious palace compounds. How delicious is power? Is it addictive like drug? If being in power is addictive like drug, how come those in power are not interested in sharing? What we for sure know is that one cannot enjoy addictive things without sharing it with others. That is maybe why we enjoy having beer or a cocktail in a pub than alone at home. So how could power be enjoyable if not shared? Probably, these kind of questions could only be answered by those who were chosen to be leaders; specially those leaders who became more busy in staying glued to their power instead of sticking to their duty; serving the millions. May be it is already too late and helpless to deliver a manual for those leaders who have already succeeded in making their people extremely angry and fearlessly march for freedom. But if you are a would be leader of a certain country, it is like as if you were already on the tip of a highest mountain. You can’t climb further if you have already reached the highest point of your route. You either do the right thing to remain up there as long as you are needed and step down or you will find your self tumbling and rolling downwards faster than you have ever predicted. As Jimmy Cliff precisely defined in his song, the higher you rise the harder is the fall. Behind every tyrant on the run with a trunkful of loot, there’s usually a spouse. It’s not exactly the kind of career you would see advertised at the local Job Centre. But in the world’s all-too-numerous autocratic kleptocracies there are few positions more lucrative and gilded than becoming the wife of a dictator. Successful applicants may have to spend their lives with some of the world’s most unpleasant men, but in return, she can expect palaces, power and sumptuous living standards – even when things go wrong. With careful risk management by a dictator (a private jet on permanent standby and a healthy stash of bullion in offshore bank accounts are recommended), the threat posed by revolution and overnight ousting can be mitigated to acceptable levels. But wannabe WODs – Wives of Dictators – should be aware that there is always a small chance of the starving masses bashing down the palace gates and demanding a piece of the national pie, and should also plan their metamorphosis into Wodds – Wives of Deposed Dictators. The toppling last week of Tunisian President Zine al-Abidine Ben Ali’s 24-year reign is a sharp reminder to the world’s dictators that nothing lasts forever. It may also prompt their wives to make escape plans should the winds start blowing in the wrong direction. Leila Trabelsi, Mr Ben Ali’s second wife, was clearly well prepared. According to reports this week, the 53-year-old daughter of a fruit seller, who rose to become the country’s most powerful woman, organised the removal of more than £37.5m worth of solid gold bars from Tunisia’s Central Bank before she fled via Dubai to Saudi Arabia. Bank officials have denied the allegations, but the reports came as little surprise to ordinary Tunisians on the streets, who compared the Trabelsi and Ben Ali families to mafia-like organisations that squirrelled away vast amounts of the nation’s wealth in preparation for a life of luxurious exile. For while many ruthless strongmen – such as Charles Taylor, Slobodan Milosevic and Saddam Hussein – end up in court, the innocent wives of the world’s despots do not need to worry about threat of prosecution. Ms Trabelsi’s flight to well-funded exile is just one of a number of such journeys that have been made by partners of toppled dictators over the past five decades. The great political upheavals of the 1970s and 1980s led to scores of regime changes in Latin America, the Middle East and South-east Asia. As largely pro-Western dictators were toppled by popular revolution, many chose to settle in Europe and the United States. The Shah of Iran’s wife, Farah Pahlavi, still divides her time between Paris and Washington DC, while Imelda Marcos fled to Hawaii to plot her eventually successful return to Filipino politics. More recently, Saudi Arabia has become something of a favoured destination for strongmen of the Muslim world. Mr Ben Ali is following in the footsteps of Ugandan dictator Idi Amin and former Pakistani Prime Minister Nawaz Sharif in seeking sanctuary with the Al Saud dynasty. Not all flights into exile go according to plan. Elena Ceausescu tried to flee alongside her husband Nicolae in a helicopter as their notoriously brutal regime crumbled against Romanian street protests. They got as far as the town of Targoviste before revolutionaries within the army forced them to land, subjected them to a swift show trial and executed them. For those who escape such rough justice, a life of luxury is not always guaranteed. Sarah Kyolaba Amin, the Ugandan dictator’s fifth wife, made ends meet post-divorce working as a lingerie model in Germany before moving to the UK, where a café she ran in London was closed for a while by health inspectors. Mussolini’s wife fared a little better. While Il Duce’s mistress Claretta Petacci was executed by Italian partisans, Rachele Guidi Mussolini survived the war and spent the rest of her life running a little pasta restaurant in her home village of Predappio. Catering, it seems, is not a bad fallback. But the real lesson is surely that, if you want to be a successful Wodd, keep a bag packed for a potentially sharp exit. The good WODD guide: Who’s holed up where? The sophisticated Bennett married Jean-Claude “Baby Doc” Duvalier in 1980 with a wedding that reputedly cost $3m. In Haiti, the Duvalier regime used fear and repression through the Tonton Macoute secret police and plundered millions that were transferred to European bank accounts. The couple fled to France for a luxury lifestyle on the French Riviera, complete with Ferrari and multiple properties. A police raid on their Mougins villa in 1986 unearthed a notebook logging spending including $168,780 for Givenchy clothes and $270,200 for Boucheron jewellery. They divorced after a decade and reports suggested that Duvalier lost much of his fortune in the divorce settlement. Idi Amin’s fifth wife Sarah fled with him to Libya when he was toppled in 1979. By 1982, she had left him to seek asylum in Germany, where she worked as a lingerie model. In 1999, she narrowly escaped a jail sentence for running a cockroach-infested café in London. Now aged 55, she is thought to be an events organiser in Tottenham. Last year, she collected an award for Amin, which posthumously named him best Ugandan president of all time. Begum Sehba Musharraf spent much of the latter part of her husband’s reign receiving female dignitaries from Laura Bush to Princess Rania of Jordan. Facing accusations of violating the Pakistani constitution and gross misconduct, Musharraf resigned from his post as President in 2008 and the couple moved to a luxury apartment in central London. Married the former shah of Iran in 1959 at the age of 21. For the most part she was a popular figure, while the regime itself was increasingly seen as being aloof from the people. In 1979, she fled Iran with the deposed shah and their children after months of protest led to an Islamic revolution. The deposed shah, who is thought to have stashed away a fortune before fleeing, moved his family from country to country. Since they left, she has suffered personal tragedy with two children apparently committing suicide. But the family fortune remains considerable. She was said to be the driving force in her marriage with Slobodan Milosevic, the “Butcher of the Balkans” who died of a heart attack while on trial at The Hague for crimes against humanity. Now in exile in Russia, she was accused by Serbian prosecutors of making tens of millions of pounds through cigarette smuggling. Said to have a penchant for furs, caviar and French perfume and would fly a plastic surgeon in from Italy. Jean-Bédel Bokassa began to lose his grip on power in the Central African Republic in 1977 when he decreed that all schoolchildren must wear uniforms. Mass protests ensued, partly because the country’s only uniform supplier was owned by his wife, Catherine. When Bokassa was deposed in 1979, the couple fled to France and lived in a chateau just outside Paris, which sold to a mystery buyer for around £762,000 earlier this year. In December 2010, Catherine accepted a state medal of honour from CAR’s current President François Bozizé. Married in 1980, Bobi Ladawa became Mobutu Sese Seko’s second wife (although he is also said to have fathered illegitimate children with Ladawa’s twin sister). In 1997, the couple fled Zaire (DRC) after 32 years of Mobutu rule during which he embezzled around £6.3bn. They eventually found refuge in Morocco, but Mobutu died of prostate cancer later that year. The wife of the former leader of East Germany and herself a former education minister, Margot Honecker fled to Moscow in 1991, to avoid criminal charges related to communist policies before Germany was reunified. Nicknamed the ‘purple witch’ in recognition of her blue-rinse hair and hardline policies, she was forced out of Russia by Boris Yeltsin a year later. Honecker has since lived in Chile and gets by on an old age pension. Finally ousted in 1991, Ethiopian leader Mengistu Haile Mariam and his wife fled to Zimbabwe where Robert Mugabe received them as guests of honour. In 2006, Mariam was foundguilty of genocide and of ignoring a famine which killed one million Ethiopians during his 17-year rule. The couple were last reported to be living between two heavily-guarded luxury villas in Harare and Lake Kariba. The newest member of the exiled wives set, Leila Trabelsi reportedly fled to Saudi Arabia to join her husband, Zine al-Abidine Ben Ali, a week ago following weeks of protest against his corrupt rule in Tunisia. Reports suggest one of her final acts was to collect gold from the country’s central bank. The former hairdresser was known for her love of fast cars – the family owned dozens – and fine clothing bought on frequent shopping trips to Dubai. The second of Saddam Hussein’s four wives, Samira Shahbandar reportedly had an affair with Saddam while they were both still married. She fled Iraq to Lebanon after the US invasion. In an interview with the Sunday Times in 2003, she said that Saddam had given her $5m in cash and a hoard of jewellery and gold before she left the country. 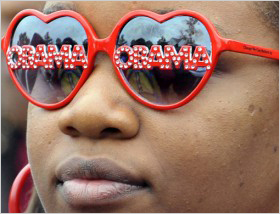 One of the more unusual WODDs in that she met her husband after he fled the country. Alberto Fujimori was elected president and ruled Peru for ten years but adopted dictatorial powers to fight left-wing rebels. He fled to Japan amid a corruption scandal in 2000, and met Japanese hotel magnate Satomi Kataoka. He was arrested in Peru in 2005 when he attempted to launch a new bid for presidency and married multi-millionaire Kataoka from his cell a year later. He remains in jail after being found guilty of abuse of power and ordering killings by the security forces. The despotic regime of Ferdinand Marcos oversaw political repression and human rights violations. Thousands were killed and the country’s economy ruined. When the couple fled the palace after popular protests, Mrs Marcos was found to have left behind more than 1,000 pairs of shoes and 15 mink coats. Mr Marcos is estimated to have looted billions of pounds from the country. Imelda returned to the Philippines in 1991 when she was convicted of corruption, a verdict that was overturned the following year. – Some ended up in prison, others were butchered at the hands of their own people. A lucky few lived out their days in comfortable exile or in positions of privilege in the lands they ruled. India’s independence leader Mohandas K. Gandhi said dictators “can seem invincible, but in the end they always fall.” That hasn’t always proven true. Russia’s Josef Stalin, North Korea’s Kim Il-Sung, China’s Mao Zedong, Spain’s Francisco Franco, Albania’s Enver Hoxha and Syria’s Hafez Assad all died in power. Augusto Pinochet of Chile arranged a comfortable retirement before handing over power. The global record of bringing tyrants to justice has been mixed. Former Yugoslav President Slobodan Milosevic stood before an international tribunal to answer for his regime, but he died before a verdict could be rendered. Liberia’s Charles Taylor has been indicted for war crimes in neighboring Sierra Leone and awaits trial. Panamanian strongman Manuel Noriega is serving a 40-year term in a federal prison in Miami for racketeering, drug trafficking and money-laundering after U.S. troops entered his country and arrested him in 1989. But history’s master tyrant, Adolf Hitler, escaped retribution by committing suicide in Berlin before Soviet troops could capture him in 1945. Pol Pot, whose Khmer Rouge regime was responsible for the deaths of up to 2 million Cambodians, died in the jungle in 1998 as remnants of his vanquished movement were preparing to hand him over to an international court. For dictators, great power entails great risk. The price for years spent firmly in the saddle can be high. For nearly 25 years, Nicolae Ceausescu wielded vast powers as the Communist boss of Romania, even defying the Kremlin, which tolerated him because of his firm hold over his people. Ceausescu and his wife, Elena, were executed by a firing squad on Christmas Day 1989 after revolutionaries toppled his regime. That seemed like a merciful end compared with that of Samuel Doe, the shy, soft-spoken master sergeant who overthrew Liberian President William Tobert in 1980. Power and corruption soon got the best of him and after 10 years of dictatorial rule, Doe was himself overthrown _ tortured, mutilated and brutally slain. More fortunate are those who can call on a foreign leader for a safe haven once their regime is on the rocks. Idi Amin, who as president of Uganda ordered the massacre of thousands of his countrymen and impoverished his people, managed to get away to Libya after neighboring Tanzania overthrow his regime in 1979. Amin later settled in Saudi Arabia, where he died in 2003. Ethiopia’s Col. Mengistu Haile Mariam escaped to Zimbabwe in 1991 as rebels led by ethnic minority Tigreans closed in on his capital, ending a 17-year dictatorship notorious for its bloody purges. Mengistu has a luxury villa, bodyguards and a pension _ payback for having provided Zimbabwean President Robert Mugabe with arms, money and training facilities during the 1972-80 war to end white rule in former Rhodesia. Jean-Claude “Baby Doc” Duvalier of Haiti used his family’s longtime ties to France to escape retribution when the Haitian military ousted his regime in 1986. “Baby Doc” was named president for life at age 19 following the 1971 death of his father, Francois, “Papa Doc,” who had ruled with the help of the notorious paramilitary Tonton Macoutes. Despite promises to liberalize, the younger Duvalier muzzled the press, wrecked the economy and ordered the torture and killing of hundreds of political prisoners, finally provoking mass protests and a coup that chased him from the country. Jean-Bedel Bokassa of the Central African Republic wasn’t so lucky. One of Africa’s most ruthless dictators, Bokassa was ousted in a French-backed coup in 1979 after a bizarre 13-year rule that included proclaiming himself Emperor Bokassa I.
Bokassa was accused of killing and eating those who dared criticize him. His purported crimes included the 1979 massacre of 100 children who complained about school uniforms they were required to buy from his factory. After seven years in luxurious exile in Ivory Coast and France, Bokassa returned to Central African Republic in 1987 expecting to be welcomed. Instead, he became the first deposed African chief of state to be publicly tried on charges of murder, torture and cannibalism. He was acquitted of cannibalism charges, but convicted of murder and sentenced to death. The sentence was commuted to 20 years in prison, and he was freed in September 1993. Bokassa died three years later and was honored with a state funeral. Wishing you a happy new year we present you our sixth edition of Ethiopian Law Newsletter. Please enjoy it and give us your comment about it. For further information here is the contact address of our law office. FIKADU ASFAW LAW OFFICE, K KARE BUILDING, 5TH FLOOR, MOZAMBIQUE STREET, ADDIS ABABA, 150 M ON THE RAS MEKONEN STREET TO GUENET HOTEL, ADDIS ABABA, ETHIOPIA. Currently, marriage under Ethiopian law is an institution that is to be entered into with the free and full consent of the intending spouses. The spouses have equal rights during the entry of, the lifetime and dissolution of the marriage. So when a marriage is dissolved, for any of the legal reasons this legal principle entails various effects for spouses so intending that dictates adherence to legal procedure as the most convenient path to follow. So what is defacto divorce? This occurs when partners in a marriage separate (be it through mutual agreement or one spouses abandons the other) and start leading their separate lives. Though not legally divorced, these people are “divorced” in fact and usually remarry, produce heirs and own property. When a marriage is dissolved by divorce the issue of division of property will come to the scene. Property in this respect is divided in to two: personal and common property. 1. Personal property – Property possessed by the spouses on the day of their marriage or property they will come across, even after the marriage, through personal donation or succession shall be their personal property. Property they acquire through the exchange of their personal property (even if such property is money), or from money obtained from the sale of such property will continue to be their personal property if they inform the court and recognizes it as being personal. If you have wondered what things are exempted from payment of VAT the following items are the ones provided by the Ethiopian Revenues and Customs Authority as lists of VAT exempted transactions. If you want to know about these items here is the list. Do you know about period of limitation? Period of limitation means when one person who can be a plaintiff or a defendant has a time limit for raising or presenting a question. Here in below you will find list of period of Limitations listed under the Ethiopian criminal code. In relation to income tax the Ethiopian Income Tax Proclamation 286/2002 provides the following information. Even though Income Tax issues are not as familiar as civil cases, any tax payer can appeal on a judgment rendered by the Tax Authority. If a tax payer has a complaint over a tax judgment the tax payer must fulfill the following criteria to appeal to the tax appellate court. 1. The tax payer must deposit the 50 percent of the due tax payment in controversy to the Tax Authority. Do you know the existence of a concept of absence of a person according to Ethiopian law? So if you are missing for more than two years and no one really knows your whereabouts there is a possibility that you may be declared absent by Ethiopian courts. Below you will find out how it works. The Legal Implications of Declaration of Absence: Since the declaration of absence is equivalent to declaration of death, according to Ethiopian law, declaration of absence has more or less similar effect like death. So let’s see the effects of declaration of absence. On Marriage: The marriage of the absentee will automatically be dissolved on the day on which the judgment declaring the absence has become final. Are you an employer or employee who wants to know your normal hours of work? Here is an important note for you in this regard. Can You Simply Ignore Anybody’s Offer for Business? Today we will give you a brief idea about silence to a business offer and its implication according to Ethiopian Law. Before that let’s begin with the following questions. 1. Is silence acceptance or refusal according to Ethiopian law? 2. Are you required by Ethiopian law to specifically refuse or accept any offers of business made to you? 3. What will be the legal implications of your silence to offers made to you? Is mistake strong enough to cancel a contract according to Ethiopian Law? If you want to know if a mistake in a contract can be strong enough to cancel it according to Ethiopian law you might want to read this. A mistake in an everyday life is inevitable. likewise it is natural to make mistakes when writing a contract. There might be minor or major mistakes involved in a contract. The minor mistakes can be corrected easily. But as for the major ones can be strong enough to cancel a contract. In establishing contractual relationships one should observe the formality requirements of the law. In this regard we will look at the requirements of form one may be required to observe while entering into agreements in Ethiopia. If one wants to know how period of limitation is dealt within the Ethiopian labour law, this note can give you some ideas. Period of limitation in a labour issue varies based on the nature of claim the plaintiff may have against the defendant. Do you want to employ a new employee under probation? Are you new employee under period of probation period? Here is a relevant note on probation under Ethiopian law. A probation period according to the labour law of Ethiopia is a period allocated for the purpose of testing a person’s suitability to a post in which he/she is expected to be assigned. Probation period shall be made in writing when the parties agree to have a probation period. This period should not in any case exceed forty five consecutive days. In most of the civilized legal systems around the world, if one spouse earns more money than the other spouse, he or she is required to pay spousal support. This is usually a payment independent from child support, with the amount being set by the court based on the spouses’ assets, incomes, ages, health, standard of living, ability to be self sufficient, contribution to each others’ career, length of marriage and more. The revised family code recognizes the need for spouses to support each other during the life time of the marriage. (The Revised Family code arts. 49(1), 210 (a)). However, it seems to shift from this position once the marriage is dissolved, in exception to the support owed to the children concerned, all contact should be severed between the spouses. Either for this or other reasons (non consideration included) the topic alimony is neither referred to nor provided for in the code, barring its existence in rulings concerning the dissolution of marriage. Excuse me, I couldn’t help overhearing your conversation just now. You were talking of heroes like Martin Luther King and Desmond Tutu. But I never heard you mention the man Abune Petros. You spoke of iconic clerics, who had put their lives on the line for what they believed in; their beautiful implementation. And as you know, my new-found friend, some lost their lives. One such was Abune Petros. A brilliant teacher who became an inspirational bishop. He had followers and friends far and wide. High official who never lost his humility. The fascists mistook his gentleness for weakness. So initially, they did not realise the great strength he possessed. They tried to break his solidity. When they could not, they murdered him. 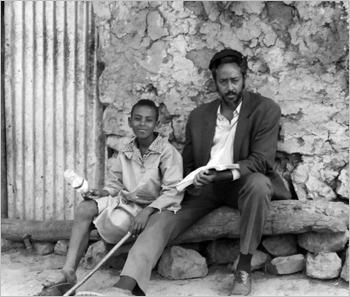 Abuna Petros went to his death the same way he had lived: humility and dignity intertwined; a man of quiet strength. Dozens of African heads of state and government converged this past weekend in Addis Ababa, Ethiopia for the annual summit of the African Union (AU). The AU is the continental intergovernmental organization of African states headquartered in Addis Ababa. Dubbed the “Dictator’s Club” by the continent’s human rights activists, the AU is a successor of the Organization of African Unity (OAU) that was founded in Addis Ababa with the late Ethiopian Emperor Haile Selassie I as one of its founders. The AU Summit featured the President of the French Republic, Nicolas Sarkozy, who addressed the African leaders in a keynote speech as the President of the G20. President Sarkozy cautioned the leaders, saying that unless they carefully listened to and addressed the grievances of their people, they could face serious public discontent. He was careful not to mention any particular state, except in the case of lambasting the Cote d’Ivoire’s Laurent Gbagbo for refusing the step down, and Egypt and Tunisia. Interestingly, Egypt and Tunisia were not discussed at the summit. Chairman Jean Ping of the African Union Commission, the AU secretariat in Addis Ababa, stated that the revolutions in Tunisia and Egypt occurred too late to include in his report. It’s easy to tell that those civilian uprisings were the talk of the day though. Furthermore, leaders of Egypt, Tunisia, Libya and Algeria were conspicuously absent at the summit. This could very well be because the latter two are worried about possible uprisings. Some of Africa’s leaders continue to be drunk on power and their actions are increasingly depicting that drunkenness at the African Union. It is profoundly unfortunate that what could and should be a very powerful organization is quiet on the issue of human rights. More unfortunate is perhaps the fact that not many, if any, African leaders have the moral high ground to criticize each other. Africa’s problems certainly require African solutions but the mechanism to accomplish that vision has proven itself a sinking ship. Wishing you a happy new year we present you our fifth edition of Ethiopian Law Newsletter. Please enjoy it and give us your comment about it. Well it seems the Federal Courts in Ethiopia are making considerable improvement in the reformation of the judicial sector. According to the press releases we found from the local newspapers in Ethiopia, the Federal court will open new branches in every sub cities of Addis Ababa. According to AtoTegene Getaneh. In Ethiopia, Acquiring and registering property isn’t an easy task. It costs lots of money and effort. One should also be careful of lots of cons and swindles by many parties in the process. Once the property to be acquired is found here are the lists of procedures to be followed to legalize the property. 1st The first procedure is Verifying the Status of the Property at the Registry. The purchaser should verify at the Registry whether the property is affected by any encumbrances. Currently the registry in Ethiopia is computerized and located in 10 different sub cities. Therefore two days time is enough for the verification. Then the location and surface area of the property must be checked at the Master plan Bureau. It requires one additional day. 2nd The second step will be Checking the Evaluation of the Sale Price by the Sub City. The parties will bring the sale agreement to the Sub-city. The Sub-City official will check that the price included in the sale agreement corresponds to the Master list of Price. Each Sub-City has a fee Schedule depending on the location of the building. If you are intending to engage in trading activity that it involves trading across Ethiopian boarders, you should know about the following list of import and export procedures and the required documents. This is list the procedures necessary to import and exports a standardized cargo of goods in Ethiopia. The documents required to export and import the goods are also shown. 1. The first procedure is Documents Preparation and it takes about 25 days. 2. The second step is Custom Clearance and Technical Control. This needs 10 days to complete. 3. Then Ports and Terminal Handling follows which takes 5 days and costs. 4. After this Inland Transportation and Handing will take place. Do you want to know about the common period of limitations found in the Ethiopian legal system? Below you will find them. For those who don’t know period of limitation, here is the definition of Period of limitation. It means when a person who can be a plaintiff or a defendant has a time limit for raising or presenting a question. Below you will find list of period of Limitations listed under the Ethiopian civil code. According to Article 1845 of the civil code any person who wants the performance of a contract or has incurred loss due to the non-performance of a contract shall exercise his right to ask within ten years. According to Article 2143 of the civil code cases of non-contractual obligations have two years period of limitation. However, if the case leads to a criminal liability and if the crime has a period of limitation more than two years, the time fixed for asking compensation shall be substituted by the period of limitation of. The jurisdiction of the Addis Ababa City courts is mentioned in the EFDRE Proclamation No. 311/2003. According to Article 41 of The Addis Ababa City Government Revised Charter these courts will have the following jurisdiction over civil and criminal and petty offense. 2. Suits arising in connection with the regulatory powers and functions of the executive and municipal service bodies of the city government. Recently, we received a letter from Fikadu Asfaw(Legal Counselor and attorney-at-law) from Addis Abeba. He offered us to contribute an article based on essential law information of Ethiopia. We are grateful that Mr. Fikadu Asfaw volunteered to provide those who are intending to travel around in Ethiopia with useful regulation of the country. I am writing you this letter from a Fikadu Asfaw law office, an Ethiopia law Office in Addis Ababa. I have seen your articles posted at on different topics. I love them. If it is possible, I would also like to contribute some legal articles, which I post in my website blog. Thus it is to request you provide me with detailed information in this regard. Detailed Information about Fikadu Asfaw law office is Available at the following address. Rumors has it that some international (not to say foreign) drivers are wary of driving around Addis Ababa, the capital city of Ethiopia. That might be a little exaggeration, may be intended to trick drivers of Addis, to make them more cautious in their driving, sometimes a tempting way of utilizing their hospitality for good end. Still some statistics has identified Addis (and Ethiopia, we should assume, because: significant percentage of cars in Ethiopia is located in Addis or its surroundings) as a place where traffic accidents are frequent. The story seems destined to be changing these days, at least by common sense standard. The administration seems to have taken note of concerns in traffic accidents and has been taking strict measures to make the roads of Addis safer. It has more than once set more hours and forms of training for prospective licensees, which some say is becoming too expensive in terms of time and money. And to the disappointment of new applicants, the administration had also temporarily suspended issuance of new licenses for a while until, one might assume, the administration overhauled the procedure for issuance. If you wonder to know how marriage dissolves in Ethiopia here is some brief note. In Ethiopia, there are three forms of marriage. i.e. civil, customary and religious marriages. But the effect of dissolution of all forms of marriage is the same. How can marriage be dissolved by divorce? Are you planning to come to Ethiopia for work? Do you want to know how you can get a work permit here in Ethiopian? Here is significant information in this regard. Enjoy reading it. Except some security issues, which are common for any country, there are no travel restrictions in Ethiopia. Except on flagrant cases there is no serious requirement regarding health, insurance, money…etc. 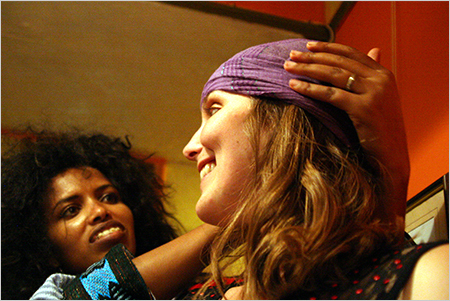 Any foreigner coming to Ethiopia, except those foreigners coming from tourist-generating countries, is required to obtain visa either at the arrival gate or prior to ones arrival from Ethiopian Embassies, Permanent Missions & Consulate Generals, Besides, Ethiopian Honorary Consulates authorized to issue visas by the government can provide the same service. Contracts under Ethiopian law: Oral or Written? One of the principal sources of obligations (do this and do not do that), as you might be well aware, is contract. And its obligations are usually referred consensual to mark the lines separating these obligations from those of the law. How is it, the contract I mean which creates the consensual obligations, formed under the law? Another way of asking is: what are the legal prerequisites to create valid contracts which could be enforced before courts and other appropriate organs? If you mentioned the requirements falling under capacity, consent, object, or form, you definitely have grasped the formation rules of contract laws in Ethiopia. But what are the specific rules under these broad shorthand for formation rules? For example, is “consideration” to be considered for validity or enforceability of a contract under Ethiopian law? How about the issue of “undue influence”? Well you might browse the provisions of the Ethiopian Civil Code and see if you are lucky to find these terms. While promising to come to each of the formation rules later let us for now quickly look into the requirement of form, i.e. how the Ethiopian contract law regulates the methods/ways of expression of one’s agreement. As keepers, fountains of justice, Ethiopian courts have been playing significant roles (still they could do more) in the administration of justice. Since the Ethiopian State is federal, the courts, whose independence and significance is assured in the FDRE Constitution, are generally structured at federal and state levels. These constitutionally recognized adjudicatory organs are mostly the ordinary courts of law. City and social courts dealing with frequent and/or minor municipal matters are as well other feature of the judicial system in Ethiopia (Addis Ababa City Courts could be illustrious here). Quasi-judicial organs such as the Labour Relations Board (established by the labour law) and Tax Appeal Tribunal(established by tax laws) are other interesting components in the administration of justice. There are also religious and customary courts with limited jurisdiction focusing on maters of personal relations with the consent of disputing parties. Indeed the House of Federation (the upper house of the two parliaments), having the jurisdiction to adjudicate constitutional matters, could also be mentioned in passing. Do want to know when you can validly terminate a contract of employment as per the Ethiopian Labour Law? If so here are the main points. In Ethiopia the employment relationship between an employer and an employee is governed by The Ethiopian Labour Proclamation 377/2003. According to this proclamation the contract of employment may be terminated by the following different reasons. *By the collective agreement or by the agreement of the two parties. This article is basically concerned on discussing the basic grounds of termination under Ethiopian Labour Proclamation. According to the Ethiopian Labour Proclamation, a contract of employment may be the terminated on grounds connected with the worker’s conduct, skill, objective circumstances arising out of his work or the organizational or operational requirements of the undertaking. Now we will observe the legal grounds that give the employer the opportunity to terminate an employment contract. According to Ethiopian family law Adoption can be described as an agreement that may be created between a person and a child or between government or private orphanages and the adopted child. This idea can be found at Article 180 and 192 of The Ethiopian Family Code stated respectively. As per the Ethiopian law of adoption the adopter is required to fulfill various requirements. These requirements vary from Ethiopian Adopters and foreigner Adopters. One of such requirements is the age of the adopter and the adoptee. According to the Ethiopian Family Law the adopter must attain the age of 25 years to adopt a child. NICODEMUS, Kan. | A new “it” grain is blooming in the fields of northwest Kansas. Teff has a ready-made market of Ethiopian expatriates hungering for a taste of home with virtually no supply of the grain for their beloved injera bread. Teff packs more protein per pound than wheat. And because it produces gluten-free flour, it could open a buffet line of breads and pastas to people with celiac disease. It also can withstand drought and floods and, so far, it hasn’t fallen prey to pests that bedevil other Midwestern crops. Ethiopians have long adored the grain, raising it by hand in their highlands and making it the country’s staple cereal. “People will definitely buy it,” said 52-year-old Gillan Alexander, a Graham County farmer who is among those experimenting with a crop that is ancient in Africa but new to Kansas. But can America reap its harvest? Size, it turns out, matters. A grain of teff is only slightly larger than the period at the end of this sentence. Walk through a field that Gary Alexander — a cousin of Gillan’s — has planted in wheat, and all the challenges of mechanizing teff production begin to show. Start with the ground. Squint closely enough and you see that some of the tiny reddish seeds have fallen to the dirt, lost for any chance of harvest. In fact, the word “teff” translates to “loss” in the Ethiopian language of Amarigna. The grass has begun to shed its seeds partly because the plants have matured at dramatically different rates. Some are bright green shoots just starting out, while others are browning in retreat. No sooner does it reach maturity than the soft stem bends over. Modern farmers call it lodging, and they don’t like it. They prefer crops with good posture that stand up for vacuum-like harvest machinery. Teff has proved all the more troublesome because even at full growth, it can vary in height by a foot or more. When teff is harvested, far too much chaff ends up with the Lilliputian grain. He has pieced together two-by-fours and window screen to devise a sieve, and it works well enough. So it’s possible, but not yet practical, to harvest teff commercially. Ethiopian farming of teff only supports a national per capita income of $800 a year. To make the payments on Kansas farmland, to cover the cost of 21st-century farm equipment and to leave a little profit at the end will require something more efficient. “So far, it’s been too labor-intensive,” said Josh Coltrain of Cloud County Community College. Coltrain has been hired by the Kansas Black Farmers Association to oversee a project paid for by the U.S. Department of Agriculture to determine whether teff has potential in America’s breadbasket. Just a few hundred acres have been planted so far, scattered among several farmers in an area where one person sometimes tends more than 1,000 acres. Grants issued through the Solomon Valley Resource Conservation Development Area since the test plots were first planted in 2005 add up to less than $200,000. The grain’s promise, Coltrain said, doesn’t come in its yields. 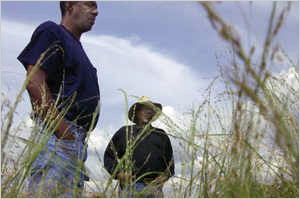 Farmers can get perhaps three times as many bushels per acre from wheat. But the premium paid for teff — at a few health food stores and groceries that cater to African immigrants and to Ethiopian restaurants — could quickly make up for the smaller bounty. Coltrain thinks it ultimately will be a good Great Plains crop. It can withstand wild weather springs, and in many ways the dry spells common to western Kansas are similar to those in Ethiopia. The trick, he said, will be cross-breeding varieties that bring more uniformity to the plants and increase the amount of grain a teff plant produces. Teff’s cultivation dates at least to the 13th century B.C., and the grain today hasn’t changed much. By comparison, wheat, sorghum, corn and the other grains popular in this part of the world are finely tuned, sometimes genetically modified hybrids. In the meantime, farmers and agricultural economists say teff looks worthwhile as a forage crop — cut for hay without bothering to harvest the seed. “That’s a decent fallback,” said Bruce Anderson, a professor of agronomy at the University of Nebraska-Lincoln. Teff tends to grow quickly enough to cut up to four times in a year and pack into bales. And for Kansas fields planted in fall for winter wheat, plant scientists said it makes a good rotation crop. What’s more, the softer leaves and stems make it ideal for pampered livestock such as alpacas or llamas that sometimes have difficulty digesting hay, or end up with bloody snouts from eating rougher products. The push to bring the grain to Kansas began with Edgar Hicks, an official at the Nebraska State Grange who works with minority farmers. He hopes Nicodemus will be to American teff what the Champagne region of France is to sparkling wine. “There’s a chance to get hold of something and see it take off,” Hicks said. In pushing for grants to explore the possibilities, he suggested a cultural connection between the Africans of Ethiopia who grow and consume teff and the African-Americans in Kansas who would feed a U.S. market. Nicodemus is the last surviving town founded by Exodusters, former slaves who came to the state in the 1870s and 1880s. Gillan Alexander, though, said he doesn’t feel any particular connection to the Ethiopian staple. Khat — is it more coffee or cocaine? Reporting from Washington — In the heart of the Ethiopian community here, a group of friends gathered after work in an office to chew on dried khat leaves before going home to their wives and children. Sweet tea and sodas stood on a circular wooden table between green mounds of the plant, a mild narcotic grown in the Horn of Africa. As the sky grew darker the conversation became increasingly heated, flipping from religion to jobs to local politics. Suddenly, one of the men paused and turned in his chair. “See, it is the green leaf,” he said, explaining the unusually animated discussion as he pinched a few more leaves together and tossed them into his mouth. For centuries the “flower of paradise” has been used legally in East Africa and the Arabian Peninsula as a stimulant and social tonic. But in the United States khat is illegal, and an increased demand for the plant in cities such as Washington and San Diego is leading to stepped up law enforcement efforts and escalating clashes between narcotics officers and immigrants who defend their use of khat as a time-honored tradition. In the last few years, San Diego, which has a large Somali population, has seen an almost eight-fold increase in khat seizures. Nationally, the amount of khat seized annually at the country’s ports of entry has grown from 14 metric tons to 55 in about the last decade. Most recently, California joined 27 other states and the federal government in banning the most potent substance in khat, and the District of Columbia is proposing to do the same. Increased immigration from countries such as Ethiopia, Yemen and Somalia has fueled the demand in this country and led to a cultural conflict. “We grew up this way, you can’t just cut it off,” said a 35-year-old Ethiopian medical technician between mouthfuls of khat as he sat with his friends in the office. In the Horn of Africa and parts of the Middle East, khat is a regular part of life, often consumed at social gatherings or in the morning before work and by students studying for exams. Users chew the plant like tobacco or brew it as a tea. It produces feelings of euphoria and alertness that can verge on mania and hyperactivity depending on the variety and freshness of the plant. But some experts are not convinced that its health and social effects are so benign. A World Health Organization report found that consumption can lead to increased blood pressure, insomnia, anorexia, constipation and general malaise. The report also said that khat can be addictive and lead to psychological and social problems. Khat comes from the leaves and stems of a shrub and must be shipped in overnight containers to preserve its potency. It contains the alkaloid cathinone, similar in chemical structure to amphetamine but about half as potent, according to Nasir Warfa, a researcher in cross cultural studies at Queen Mary University of London. The United Kingdom determined last year that evidence does not warrant restriction of khat. In the United States, the substance has been illegal under federal law since 1993. But the world supply of khat is exploding. Countries such as Ethiopia and Kenya now rely on it as a major cash crop to bolster their economies. Khat is Ethiopia’s second largest export behind coffee. Khat usage has grown so much in San Diego that Assemblyman Joel Anderson (R-San Diego) wrote a 2008 bill that added cathinone and its derivative cathine to California’s list of Schedule II drugs along with raw opium, morphine and coca leaves. As of Thursday, Anderson’s bill made possession of khat a misdemeanor in California, punishable by up to one year in county jail and a $1,000 fine. Possession of the leaf with intent to sell is a felony that carries a three-year maximum sentence in state prison. In some cases, khat seizures have resulted in warnings and probation. In other instances, like New York City’s “Operation Somali Express” bust in 2006, which led to the seizure of 25 tons of khat worth an estimated $10 million, the perpetrators were sent to jail for up to 10 years. Khat leaves are sold attached to thick stalks or dried like tea leaves. A bundle of 40 leafed twigs costs about $28 to $50. The plant’s cost has been linked to family problems, including domestic abuse, said Starlin Mohamud, a Somali immigrant who is completing a dissertation on khat at San Diego State University. In fact, within the East African community in the U.S., there are many who welcome the khat restrictions. Not all lawmakers, however, support the increased efforts to prosecute khat sellers and users. California state Sen. Gloria Negrete McLeod (D-Chino) called khat use “a minor problem that may be nonexistent and little understood” and voted against Anderson’s bill. “The Legislature cannot continue to add on penalties and punishments filling up critically overcrowded prison system without weighing the consequences on how this will affect California,” she said. Even though khat smuggling continues to grow in the United States, the level is nowhere near that of drugs like marijuana, cocaine, heroine and methamphetamine. Still, law enforcement officials worry that in a refined, stronger and more portable form, khat could spread outside the immigrant communities. In Israel, a pill known as hagigat (essentially Hebrew for “party khat”), has emerged on the club scene.